We all know that breakfast is the most important meal of the day. And an annual breakfast week is held each January by the 'Shake Up your Wake Up' campaign, encouraging people to get more creative and enjoy the first meal of the day. Whether you're at home, or glamping in one of our glorious tents this spring, breakfast is key for starting off your day. So here are some of our favourite recipes that are simple enough to try out on the fire pit, nutritious enough for a good kick start, and delicious enough to try at home first if you fancy! This breakfast is ridiculously simple. And very yummy! Plus it gives you a great source of protein from the eggs and and an energy boost from the bananas. In a bowl mash the bananas up really well with a fork, until there are as few lumps as possible. In a separate jug or bowl whisk the eggs, then add the banana mix. If you have nothing else around then you can leave it there and they'll be fine. If you have more to work with add a healthy sprinkling of cinnamon to flavour, a dash of milk will make the mix go further but isn't essential, and I often add a couple of finely chopped dates to mine, but each to their own! The best method is to spoon helpings of the batter on to a hot frying pan, rather than pour (otherwise heavier ingredients all get left at the bottom). 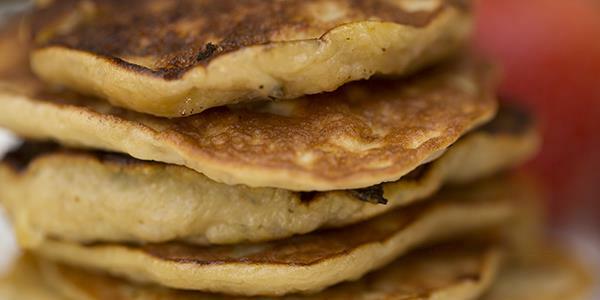 Keep them quite small and they'll cook similarly to ordinary, thick pancake mix. You'll know to flip them when they are no longer sticking to the pan. Don't forget at Sweffling you'll be able to get fresh eggs from the farm hens, and these are available at the on-site honesty shop. Porridge is surely a staple breakfast for camping trips because it is warm, filling, simple and uses minimal utensils. But glamping is a slightly different take on camping, so this recipe is a slightly different take on porridge... Spice things up a little! Chuck the oats in to a pan of water (remember you can always add more water as the oats thicken so too little is better than too much). As you allow them to cook, core your apple and grate it into the pot. Add cinnamon to flavour. Bring the oats to the boil and allow to simmer as you add the milk. Once boiled you can make the oats any consistency you want them. Use almond milk instead of cow's milk if you prefer a nuttier flavour. Serve topped with almonds. 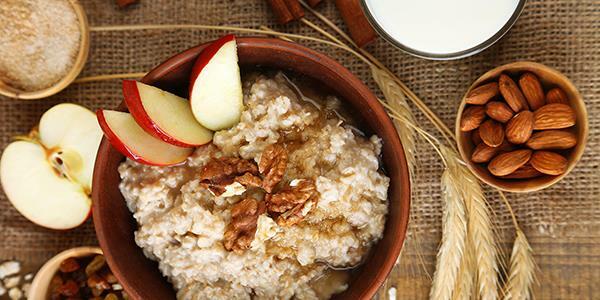 Oats are good for releasing energy slowly, so this one will keep you going all morning. Get the firepit going outside and be clever with space, because all your ingredients will want to share one grill. 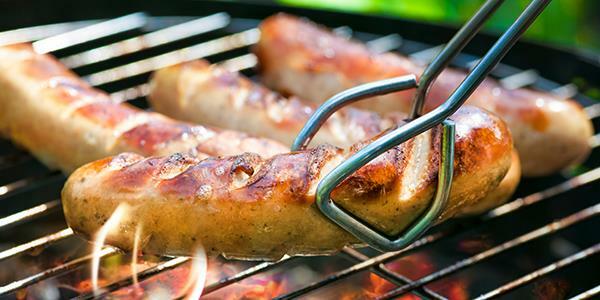 You can use a pan or, If you don't want to bung everything all in together, or if you're catering for veggies too or simply like the authenticity of putting sausages straight on the barbecue, then go for it! Makeshift foil trays really do the job for cooking eggs too. Sausages will need to go on first; they'll need to be over a low/moderate heat for a long time. The beans also need to slow cook – so find a cooler space at the edge for them. Next put the tomatoes on. When the sausages have had a 15 minute head start, nudge them over to make more room for the bacon. Create little containers out of double thickness foil, put a little oil or butter in each then crack in the eggs. Bread will be last to go on, tear it up and toast it over the fire. Once the eggs are done pile everything onto plates. This is certainly a hearty breakfast and will set you up well for a day of adventures. Don't forget that you can arrange for a breakfast pack at any one of our glamping sites. There are sausages, bacon and eggs in each, along with all sorts of other goodies. Take a look here. At our Exton Park site you are just a short distance away from the acclaimed Hambleton Bakery. Having won multiple awards, and selling a range of incredible breads, this is a great one to stop off at. One of their sourdoughs would be great with this breakfast. Use a lovely seeded or wholemeal bagel and toast it over the fire till nicely golden. 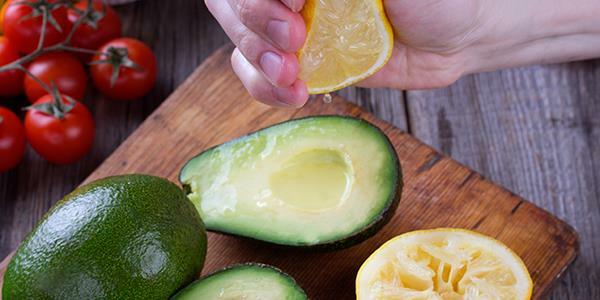 Avocados are so rich and creamy that it's always great to use sharp flavours with them – here's just two ideas. Halve and de-stone the avocado. Keep the two halves separate and roughly mash to the consistency of your choice. To one half add mint and halved cherry tomatoes. If you can slow roast the tomatoes over the fire first, they'll be more flavourful. For the other half add a squeeze of lemon. Spoon the different mix on to each half of the bagel, top the mint one with sunflower or pumpkin seeds and top the lemon one with thin slices of apple. Here you have a breakfast full of good fats, fibre and yumminess! Have a go at any of these recipes yourself, mix them up and make them your own. If you have any favourite go-to recipes, we'd love to hear about them in the comments below!